Mandatory Tip Policy? Consider Ditching it. In January of 2014, the IRS will begin cracking down on how restaurant owners pay out mandatory tips (e.g. the typical 18% mandatory tip for parties of 6 or more). Going forward, these tips must be classified as service charges that are taxable as regular wages and subject to payroll tax withholding (aka more paperwork and accounting), rather than pooled into the tip cash servers divide at the end of their shift (which has been common practice until now). Though the policy isn’t a new one, having been issued in June 2012, the implementation was delayed until 2014 to give restaurants time to comply. Some restaurateurs have already chosen to ditch the mandatory tip altogether rather than having to deal with the increased paperwork and fees. Strict compliance with the law in this area is difficult given the myriad of laws that pertain to employee’s wages and tips in the restaurant industry. As such, some NY lawyers have taken aim at the industry and, as a result, eateries have paid out over $70 million in settlements over wage and tip complaints in the past few years alone. The city’s biggest names, including Nobu, Jean Georges, Sparks, Mesa Grill, Pastis, Balthazar, BLT, and the ‘21’ club have all faced similar lawsuits and have forked over millions of dollars as a result. Others have been forced to close as a result of such lawsuits, including Geoffrey Zakarian’s Country and Chris Cannon’s Alto and Convivio. At least one of NYC’s top restaurateurs has had enough. Joe Bastianich, co-owner of Eataly, Del Posto and Babbo, who has been sued twice in NY with wage and tip complaints, vowed in 2011 that he will no longer be opening any more restaurants in this state. . . and he hasn’t. Rather he has since opened three establishments in Chicago and California giving those states the substantial tax revenue and 1000+ jobs created by the establishments. This loss of revenue and job creation is not something that even our relatively wealthy city can afford. So what’s the solution? Comply with the law and you won’t have anything to worry about. If you are not positive that you are presently in compliance, consult with an experienced attorney immediately and have them review your wage and tip policies and procedures. Sure they will charge you for you the service . . .but you’ll get it right going forward and avoid the extremely costly fate of getting sued for a wage and/or tip violation. Employers with New York employees must ensure that they provide them with an annual wage notice form by February 1, 2013, as required by the New York Wage Theft Prevention Act (the Act). This Act, which became effective in April 2011, significantly increases employers’ wage notice obligations to New York employees. • any allowances the employer intends to claim as part of the minimum wage (e.g., tip, meal or lodging allowances). This means that, no later than February 1, 2013, all private sector employers must give ALL of their New York employees a written notice containing the above information. Employers may provide this notice by hard copy or electronically, provided that employees are able to print out a copy of the notice. Employers must also obtain a signed acknowledgement from employees, acknowledging that they have received the notice. Although an employee’s email response confirming receipt of the notice is sufficient for acknowledgement purposes, an automated “read receipt” would not be sufficient. All notices must be retained by employers for six years. The New York Department of Labor (the DOL) requires that employers provide the notice in an employee’s primary language for workers whose primary language is English, Spanish, Chinese, Korean, Creole, Polish or Russian. The DOL has notice templates available on its website for each of these languages. 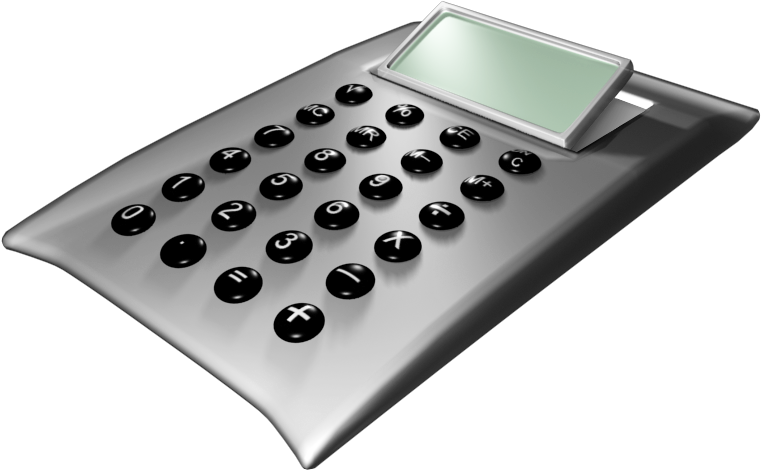 However, employers are not required to use the DOL-created templates. They can develop their own notice forms, provided that they contain all of the legally-required information described above. Employers should be aware that the notice must be a separate form. As such, new hires should receive a separate, stand-alone notice form in addition to (or attached to) any offer letter or employment agreement they may receive. Moreover, if an employee works on a commission basis, the commission agreement should be attached to the notice form. An employer who fails to provide required notices to its employees may be subject to significant penalties. Individual employees may recover up to $2,500 in a lawsuit, and the DOL may assess a penalty of $50 per week, per worker. Employers are also advised that, in addition to the new stringent notice requirements, the recently enacted Act also contains provisions regulating recordkeeping, payroll records and paystubs. TIP SHARING … OR TIP STEALING? A recent onslaught of lawsuits involving illegal tip sharing amongst restaurant employees is rocking the restaurant industry. These lawsuits are not new to the industry but they have recently increased in numbers as a result of a few recent, and very substantial, plaintiff/employee successes. On April 4, 2008, the largest class action suit ever brought by New York restaurant employees, employees sued Starbucks for violating a state law that prohibits management from receiving part of workers’ tips. At Starbucks, “shift supervisors” share the pooled tips with baristas, prompting a suit from a former barista, on behalf of at least 2,000 Starbucks baristas in NY who are allegedly owed over $5 million. The lawsuit was commenced almost immediately after a California ruling, where a state judge found Starbucks liable for $105 million, finding Starbucks illegally enabled shift supervisors to take a share of the tips. GENERAL RULE: Restaurants in New York State are allowed to pay employees who receive tips as little as $5.00 — less than the federal minimum wage of $5.85 per hour and the New York State minimum wage of $7.15. However, To use this “tip credit”, amongst other things, employers are not permitted to share tips among “agents” of the employer. This general rule seems straightforward, but it’s not. The law fails to define who constitutes an “agent” of an employer. An owner, officer of the corporation, or a general manager clearly fit this bill and cannot share in tips. But, what about a maitre‘d? a shift supervisor? or an assistant manager? The answer is . . .it depends on their job tasks and responsibilities – not their job title. The Department of Labor (DOL) has stated that an agent, “does not include a mere supervisory employee who does not have the authority to hire or fire.” And just because a maitre‘d has “supervisory” responsibilities over the rest of the dining room personnel does not necessarily mean that the maitre‘d cannot share in employee tips. The DOL will look at each situation on an individual basis, and pay particular attention to whether the maitre‘d (or another employee) “acts in the place of the owner”, by performing such functions as hiring and firing employees, or other managerial responsibilities such as disciplining and setting wages or work schedules. In its defense, Starbucks argued in California court and again in New York that it’s shift supervisors are not managers (although they are in charge when managers are away and can evaluate baristas in performance reviews), because (i) the customers cannot differentiate between the shift supervisors and the baristas, (ii) the shift supervisors often do the same work as baristas including serving the customers, and (iii) the shift supervisors pay is only 22 cents more per hour. However, the California Court ruled that the tasks and responsibilities given to these “shift supervisors” did indeed make them “agents” of the employer and hence, they were prohibited from sharing in the tips. Thus, the prohibition of sharing tips with an “agent” of an employer must be very carefully adhered to as the penalties can be severe. As in the Starbuck’s cases and many others, the definition of what constitutes an “agent” is presently being defined and redefined by the courts. If you are an employer and employ a Maitre’d, Assistant Manager, captain, or shift supervisor, play it safe, compensate them fairly – or even magnificently – but keep their hands out of the tip jar. 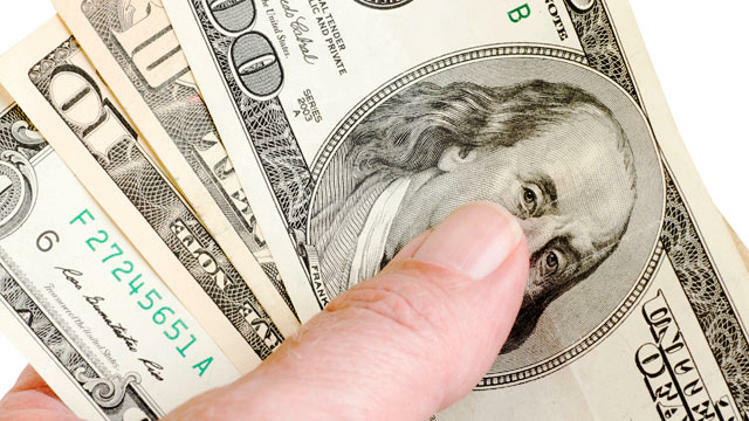 NEW YORK WAGE THEFT PREVENTION ACT IS NOW IN EFFECT: WHAT THIS MEANS TO YOUR RESTAURANT. Additional employer information, such as the official name of the business and all “doing business as” names. Employers are also required to obtain signed acknowledgements from each employee which memorialize the employee’s receipt of his or her wage notice. These signed acknowledgements must be retained by employers for six years. This Notice requirement is an important law with significant penalties for non-compliance. Any new employee not provided with the notice within 10 business days of his or her start date may bring a claim to recover $50 for each workweek that a violation occurs and may recover up to $2,500, plus attorneys’ fees. For statutory violations relating to a current employee, the employer may be liable for damages of up to $100 per week and may recover up to $2,500, plus attorneys’ fees. CHOOSING THE RESTAURANT ENTITY: Should I form a LLC or S-Corporation? They both afford the owner(s) the advantage of limited liability and are both pass through entities for tax purposes (i.e. The entities both declare their profits and losses on the individual owner’s tax returns without the need for the entity to pay a separate tax for such income). Given the strong similarities between the two entities, choosing amongst the two is often a difficult task. As such, as a restaurant and bar attorney in New York, I am repeatedly asked this question by clients. GENERAL RULE: Choose a Limited Liability Company over the other choice of entities when opening a new restaurant, bar or hotel in New York. While the two have very strong similarities, they are not without their differences. For example, S-Corporations are subject to stringent corporate formalities such as holding annual corporate meetings, keeping the minutes of the meetings, appointing corporate officers to serve, and issuing corporate stock to owner’s which may often be difficult to sell and/or transfer. In contrast, an LLC does not require annual meetings, appointing officers, the recording of meeting minutes, or the issuance of stock. Moreover, profits and losses distributed by an LLC need not be made in proportion to ownership share. However, in contrast, if an S-Corporation owner owns 50% of the shares, he/she MUST receive 50% of the profits and/or losses. Additionally, the amount of S-Corporation shareholders cannot exceed 100 and all must be U.S. citizens or permanent residents. An LLC does not have these restrictions either. A downside to forming an LLC is the publication requirement. Within 120 days after the filing of the initial articles of organization, notice must be published once each week for six successive weeks, in two newspapers of the county in which the office of the LLC is located (one newspaper to be printed weekly and one newspaper to be printed daily; both need be designated by the county clerk). If the LLC is located in New York City, this publication will cost about $1,100.00. By contrast, an S-Corporation does not have any publication requirement. This publication cost is the main disincentive to choosing an LLC when doing business in New York, but in the end, if you plan on being in business for the next 10+ years, given the flexibility of the LLC entity, this additional cost is worth it. Since the effective date of the new New York state wage regulations in January of 2011, the rules regarding tip sharing in restaurants and hotels have been the subject of much confusion. This article sets out to clarify the new “tip sharing” rules with hopes that you then will not unwittingly violate them. GENERAL RULE: The new regulations now specify the job categories that are eligible to share tips from the dining room: food service workers only, including waiters, bartenders and bussers, as well as sommeliers and hosts, provided they are not managers or acting as such. Excluded are owners, managers and all office and kitchen staff. The new rules allow restaurants to dictate both the system and the percentage allocated to each job category. Gratuities can be combined in a pool, to be divided by all the staff members according to a set percentage of allocation or individual servers can collect their own tips and give portions, or shares, to members of their specific team. The Labor Department requires that employers keep records of tip pools and shares; the records could be examined during investigations undertaken by the department on its own or in response to complaints and the Labor Department can compel a restaurant to pay money owed to employees going back six years. In addition, failure to comply with the rules can make a restaurant vulnerable to a lawsuit, something restaurateurs are especially wary of these days, given how aggressively some lawyers are pursuing these cases. 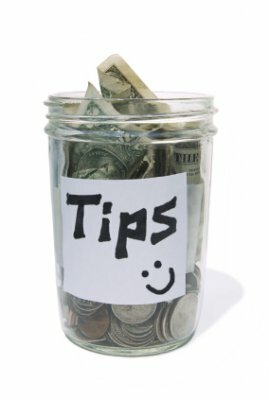 The way restaurants currently share tips varies widely. Some restaurants spread the wealth by percentage at the end of the night while others assign a number of points to each job, calculate the value of each point depending on the total amount of tips and then distribute the money accordingly. There are also different ways of including the bar; at some restaurants, bartenders collect their own tips as well as a share of those from the dining room, while at others they do not. And some places have waiters tip others based on a percentage of their sales, rather than their gratuities. Higher-end, full-service restaurants tend to favor the pooling of tips, because it fosters less disputes over stations and shift assignments, provides an incentive for teamwork and encourages the servers to monitor their own performance. Starting Jan 1, 2010, the changes to the New York State Department of Labor’s Hospitality Industry wage order include an increase to $5 from $4.65 in the minimum hourly wage rate for tipped food-service employees. Minimum wages for service employees earning tips will rise to $5.65 from $4.90, while tipped service employees working in resort hotels will earn a minimum wage of $4.90 rather than $4.35. Also, if the time elapsed between the start of an hourly restaurant or hotel employee’s work day and the end is more than 10 hours—including off-duty time—the employee must be paid for one extra hour at minimum wage. In addition to the increase in minimum wage, the DOL will also allow employers to mandate whether tip “sharing” or tip “pooling” takes place within their establishment. Previously, restaurant operators could mandate tip sharing but not tip pooling. The recommendations also relieve restaurant operators from having to pay for laundering of uniforms, providing they are of the “wash and wear” type. Restaurants will also be able to share in the proceeds from Administrative Charges, providing they clearly indicate to customers where the money will go.